Who doesn’t dream of having the perfect Instagram feed? Vintage filters, color-coordinated photo ops, and finding the right angle don’t have to be too complicated. Sometimes, all you need is great lighting and the right gadget to get the job done. And if you happen to find yourself in a creativity rut for ideas and ways you can style your feed, this one’s for you. 1. Keep your filter game strong. Sometimes, a filter can make a world of difference. Add depth or soften a photo with just one swipe. Pro-tip: try sticking to the same filter or theme all throughout. This could become your signature look, and your feed will undoubtedly register as easy on the eyes when lurkers pass by your ‘gram. Nothing draws attention in better than vibrant and vivid colors. Stick to one theme or have your entire feed bursting in crisp color. It’s great to consult the color wheel and to keep in mind the rules of monochrome and contrast. The former is the same color or shade, in different variations. The latter, meanwhile, are colors found on the opposite end of the wheel. It’s near impossible these days to not see any flat lay on your feed. When shooting that perfect flat lay, keep in mind two things: First, use a plain background that won’t distract from the main subject. Next, use good lighting. The star of the photo is the item you’re shooting so make sure shadows or unsightly flash glares don’t steal away attention. 4. Drop the selfies, win a friend. Your travel album doesn’t have to be limited to awkward selfies. All you need is the courage to ask a friendly passerby. Who knows, that stranger could turn out to be a friend, or someone who’s itching to have their photo taken, too! While you should always have safety in mind, try going out on a limb sometimes. Make that first step. 5. Shoot from up top. Knowing which angles work best for your features are absolutely essential. But a pro-tip that some of our favorite celebrities and beauty icons use is the angle taken from the top. Lifting your phone a little higher with your face dipped slightly down can lead to more flattering photos. You’ll look slimmer and better lit. 6. Stun with standout specs. Having a powerful device will solve a good number of your photo woes. Get #goals-worthy Instagram shots no matter which photo tip or trick you follow with the Samsung Galaxy A6 | A6+. It has superb image capturing features. 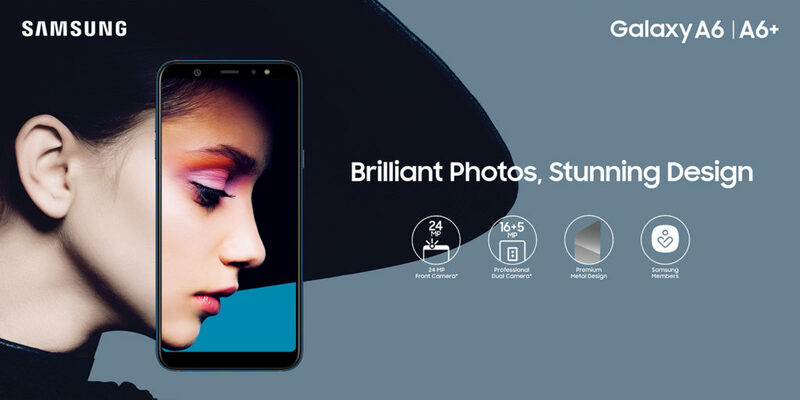 The A6+ comes with a 24MP front camera and a 16MP + 5MP Professional Dual back camera. The A6, meanwhile, features a 16MP resolution for both front and back cameras. The adjustable LED and selfie flash guarantee high-resolution photos, even in low-light. You will have a reel of great images anywhere, anytime. With these specs, you can’t wish for anything more from a phone camera. The Galaxy A6 & A6+ are now available in all Samsung authorized stores nationwide. The Galaxy A6 comes in black and gold variants, while the Galaxy A6+ comes in black and blue color options. For more information, log on to samsung.com.ph/ or visit facebook.com/samsungph.